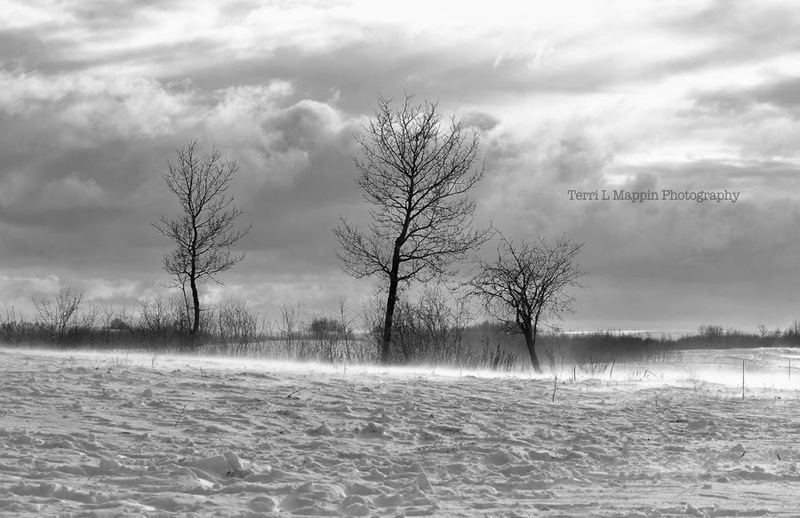 Terri Mappin Photography : Blustery! Our ARCTIC cold temperatures of last week were actually replaced with balmy subzero temperatures of -5C today! However, the wind certainly kicked it up a notch causing heavy drifting and reduced visibility this morning ... so much so, that the kids enjoyed yet another day of the school buses not running! All I can say is that after having housebound boys for most of last week, I really hope the boys have school tomorrow!!! It's been a bit too wild lately! A chinook can roll on through any day! Beautiful are your snow photos! You certainly captured the feeling of cold, Terri. 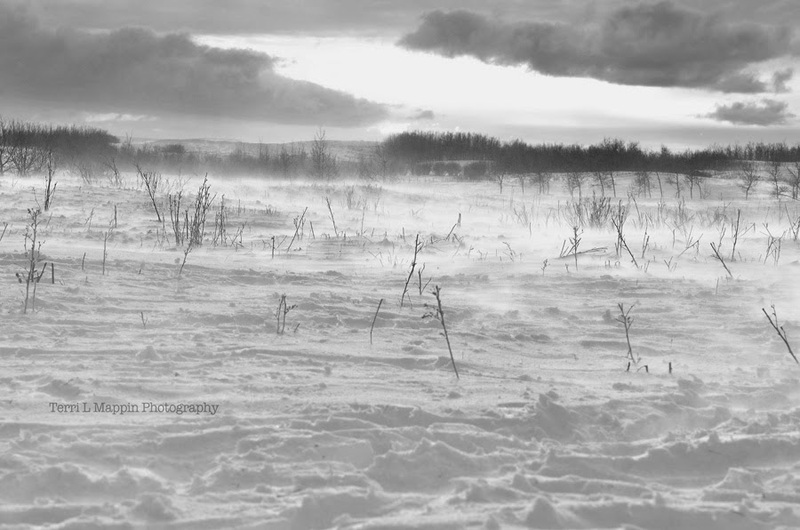 Snow drifts are so beautiful. Thanks for sharing. My fingers felt the cold! The winter winds certainly have a bit don't they? Thanks for the kind words! kjempe fine s/h bilder ! My students just painted trees just like the one's in your pictures. Great catch with snow lifting off of the field. It looks mystical. Cheers Renee! How do you like your new roll on the art council? I am certain you are loving it and your mind is overflowing with creative juices! So far the role has just involved a few meetings. I have to start asking people to submit articles and ideas, quotes... Thanks for asking. Before even reading the caption I said "boy this looks cold!" Great job!